For many of the films shown at this location we offer assistive technology to assist those individuals with limited hearing or sight. 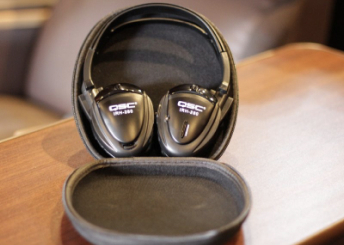 We offer headsets with dual functionality – either to amplify the audio or provide audio narration. 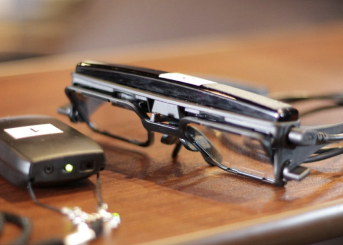 We also have closed captioning glasses, which provide captions through the lenses. Please note that not all titles are compliant with closed captions and/or audio descriptions. Look for showtimes with audio description or closed captioning labels, or ask a Pruneyard Dine-in Cinemas staff member for assistance. 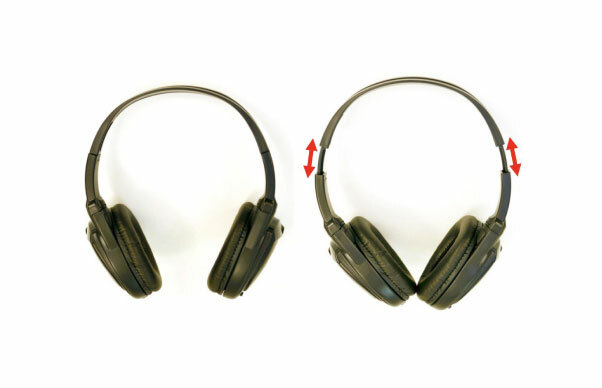 Adjust the headband to the size needed for the individual patron by pulling or pushing the ear pieces. Use the power switch to turn the unit OFF or to select channel A or B. 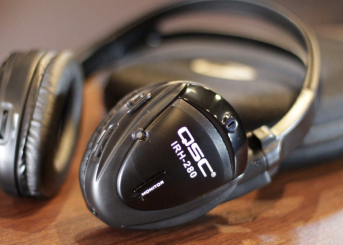 Adjust the left and right volume controls as desired to achieve a comfortable listening level. 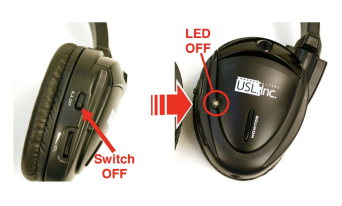 The monitor switch will mute the sound while the monitor button is held in. 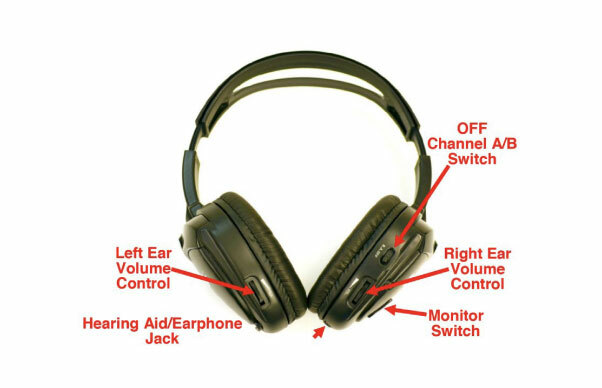 The patron may use the headphones as a receiver by plugging their personal hearing aid or earphones into the jack. 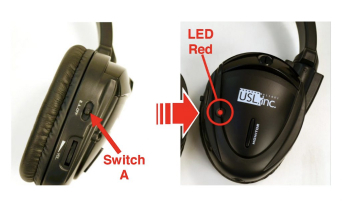 Put the lanyard around your neck, Captionwear™ on your head and slide the power supply switch on. 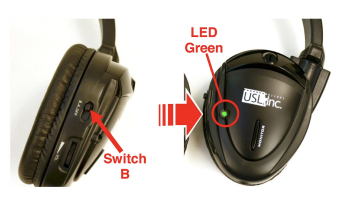 The green LED will light. Sample captions will display. When you’re in the theater, a welcome message will be displayed until the movie starts. When captioned content plays, the captions will appear. Note: Not all previews or movies are captioned. If you cannot view the text, the captions may need to be project-ed into the other lens. Please see your Theater Operator for assis-tance.